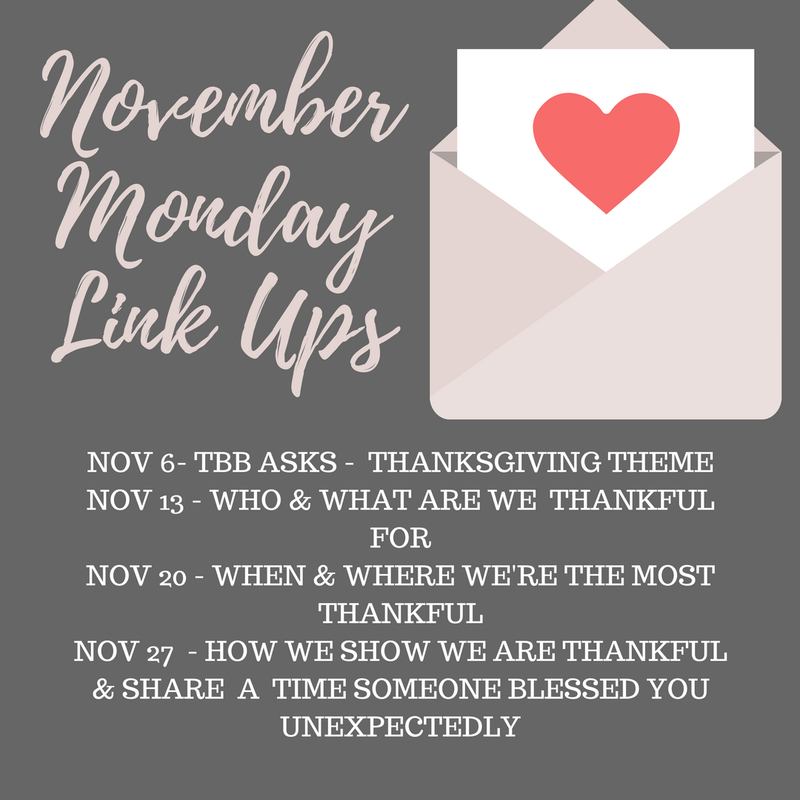 It's the first Monday of the month which means it's time for our TBB Asks linkup! We thought we'd do things a little differently for this month. Our Canadian friends have already celebrated their Thanksgiving and our US friends are preparing to celebrate theirs so let's take a little time to list some things we are thankful for. 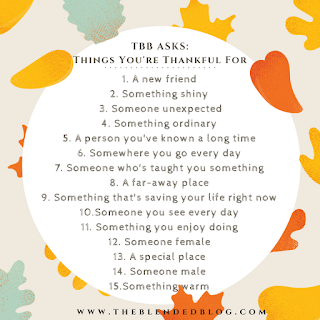 Here's the prompt for our thankful themed TBB Asks. Join us by grabbing the graphic, answering these on your own blog, and linking up with us! Carrying the thanksgiving theme through the month of November, below are the prompts for the rest of the Monday link ups. It's a way to go a little deeper about some of the things you might have touched on in the first week's prompt. From all of us here at the Blended Blog, we are thankful for YOU, our readers! Thank you for following along and playing along with our link ups!